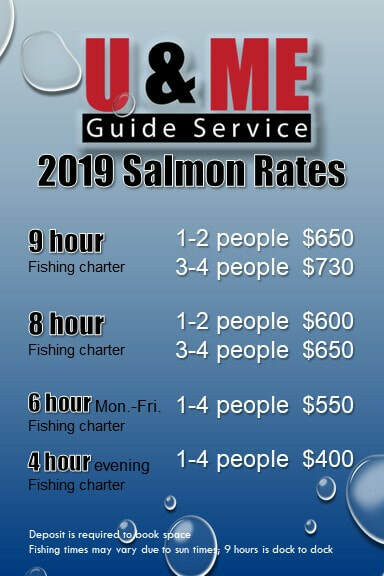 June, July and August are prime time for a salmon and trout charter. Our charters leave from either the Port Hope or Newcastle harbours- this flexibility allow us to stay on the fish. "Lloyd is a super guide- he worked hard to keep us on the fish, and we had a super day! Plus, my hubby didn't have to clean them!" Juli P.
Read some reviews on the Ontario Fishing Community pages. FrankG "An awesome day with Fishhunter"
Brian "What happens when 4 friends hook up..."
​Cancellation policy: 30 days notice for refund of deposit. If date can be re-booked, a full refund can be applied to the new booking.